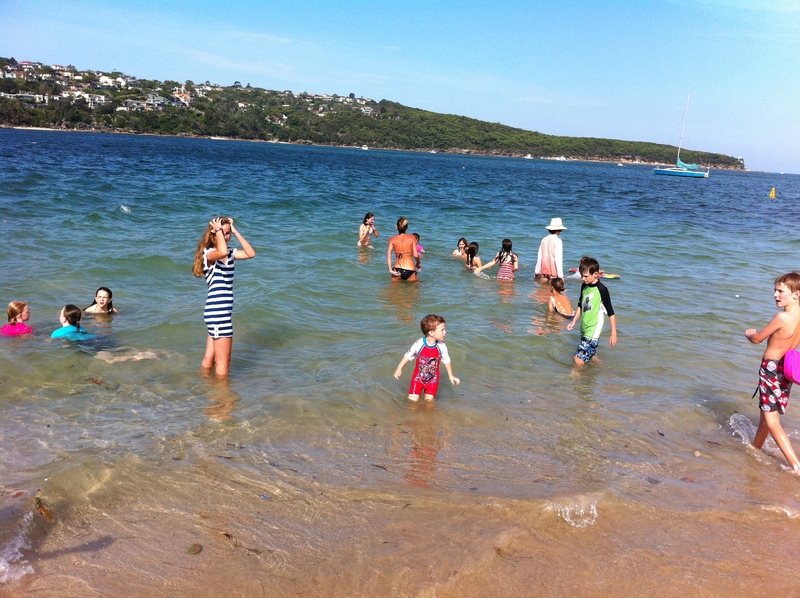 We had a week of record hot temperatures in Sydney. High 30’s to over 40 degrees Celsius. Living by the beach we get a cool breeze at some point in the day, however this week the humidity was high and any breeze we had was hot. The nights were incredibly still, not a breath nor a whisper of a breeze. We had broken restless sleep, often waking to find ourselves thirsty and our pillows damp from sweat. We ate out a lot. We hung out at the beach a lot. Being home was hot and uncomfortable. Turning the oven or stove on was not even to be contemplated! French Fridays With Dorie was postponed for us this week as we eagerly waited for the cool southerly breeze to hit. It finally arrived late Sunday afternoon and we all slept in the next morning. I was really looking forward to making the Basque Potato Tortilla and better late than never! I chopped the potatoes about 1/2 an inch maybe a tad bit smaller (as I had read from the P&Q pages they were taking a while to soften). I fried them with onions and as they were cooking I decided to make another tortilla with chorizo and capsicum. I’ll call the second one a frittata to differentiate between the two. I boiled the potatoes first in the second version to cut down on frying time and increased the number of eggs to accommodate the extra ingredients and also my larger size frying pan! 1. Boil potatoes in salted water until they just begin to soften. 2. While they are cooking, fry the chopped chorizo and sliced capsicum in some oil. 3. When the chorizo begins to turn brown and the capsicum softens, place into a large bowl and put aside. 4. Drain the just softened potatoes and fry them with the onion and garlic until golden and soft enough to eat. 5. Add them to the chorizo and capsicum mixture. 6. Beat the eggs with salt and pepper and add to mixture. 7. Pour the entire mixture into a clean frying pan and cook over medium heat for a couple of minutes. 8. Lower heat, place a lid on the frying pan and cook for another 10 minutes until the centre pulls away from the edges but the centre is still wet. 9. Turn grill on while the frittata is cooking and position the rack so it is about 15-20cm away from the heat. 10. Place frying pan in oven and cook until the top of the frittata is set and golden. Conclusion: The Basque Potato Tortilla tasted really nice on its own. However it paled in comparison to the flavour packed frittata! We decided the only way we could do both versions justice was to eat the tortilla first and enjoy it’s simple flavours before turning our attention to the frittata! And back to the beach! I really enjoyed reading all the different posts at FFWD! Tags: baking, cooking, food, french fridays with dorie, frittata, recipes | Permalink. I like your variations and I am SOOOO jealous of your very hot weather! Enjoy the beach. Your tortilla looks delicious! Stay cool in that heat! 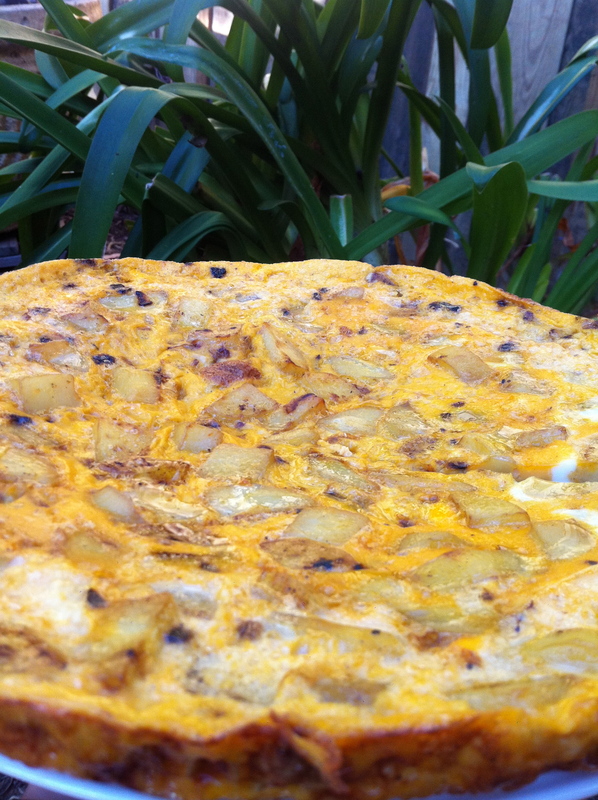 Your frittata sounds delicious! We’re very envious of your heat. Its currently 0 here in Oklahoma, US. YUM! 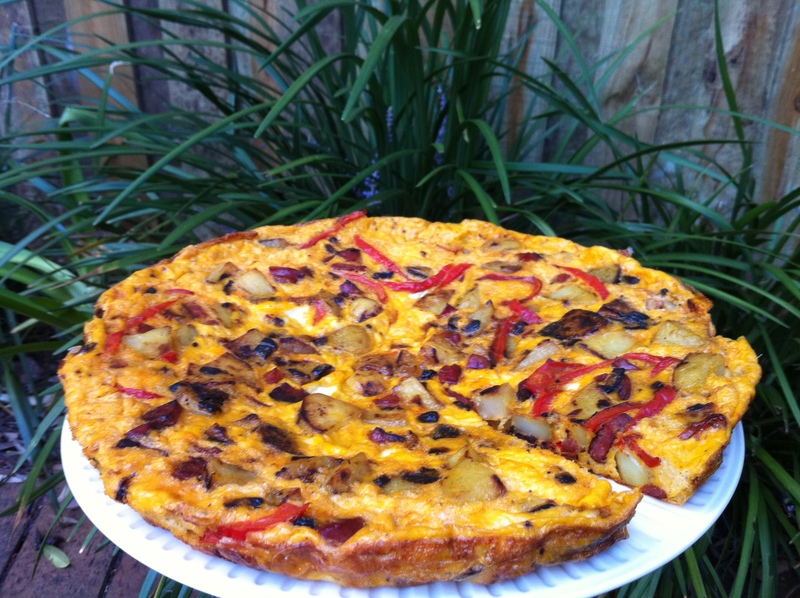 Your tortilla looks delicious….especially with the addition of red pepper slices!!! We’ve beached it up this summer and are looking forward to cooling down! The irony is that our winters don’t even come close to yours! 15 degrees celsius sends us into a spin!